The report concludes that "China and Russia will be capable of severely disrupting or destroying U.S. satellites in low-earth orbit" in the next several years, said the officials. A Joint Staff spokesman declined to comment, citing a policy of not discussing internal reports. The J-2 report echoes a similar but less specific warning from Director of National Intelligence Dan Coats in May. "We assess that Russia and China perceive a need to offset any U.S. military advantage derived from military, civil, or commercial space systems and are increasingly considering attacks against satellite systems as part of their future warfare doctrine," Coats said. "Both will continue to pursue a full range of anti-satellite weapons as a means to reduce U.S. military effectiveness." Coats added that both nations are pursuing information operations seeking international agreements that would limit U.S. defenses in space against such weapons. Russia's space weapons include a "diverse suite of capabilities to affect satellites in all orbital regimes," Coats testified to Congress, including an airborne laser for use against U.S. satellites. "Ten years after China intercepted one of its own satellites in low-earth orbit, its ground-launched ASAT missiles might be nearing operational service within the PLA," Coats said. Both China and Russia also are developing debris-removing satellites that Coats said could be used to damage satellites. Space expert Michael J. Listner said the threat posed by anti-satellite weapons is not new. Both the United States and Soviet Union developed systems to degrade space systems during the Cold War. "The United States ASAT program, Program 437, took the form of the ASM-135 missile, or the ‘flying tomato can' and was intended by the Reagan administration to be a deterrent to the Soviet co-orbital system," said Listner, founder of Space Law & Policy Solutions, a consulting firm. "When Congress defunded development of the ASM-135 there was no follow-on program to provide the desired deterrent effect," Listner said. 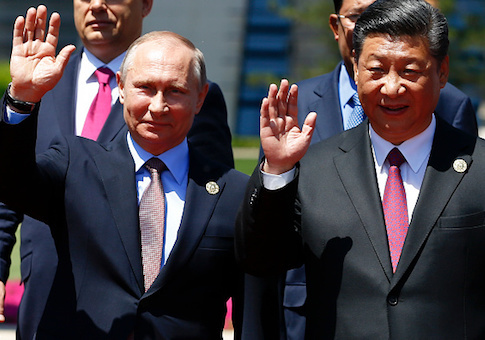 "That Russia did not completely scrap its program and China is pursuing its own, leaves the United States with the conundrum of how to deter the threat aside from the hope of resilience." Resilience is a term used by the Pentagon for protecting, hardening, or replacing satellites in a future conflict. Low-earth orbit satellites operate between 100 miles and 1,242 miles above the earth and are used for reconnaissance and earth and ocean observation. Those low-orbiting satellites provide key military data used in preparing battlefields around the world for deploying forces in a conflict or crisis. Also, weather monitoring and communications satellites, including Iridium, Globalstar, and Orbcomm, circle in low-earth orbit. A number of critical intelligence and military communications satellites also operate in highly elliptical orbits that during orbit travel in an extremely low perigee close to earth where they will soon be vulnerable to Chinese or Russian attack. All these low-earth orbit satellites are now highly vulnerable to Chinese or Russian anti-satellite weapons and capabilities. Those capabilities range from several types of ground-launched space missiles, to lasers and electronic jammers, to small maneuvering satellites that can maneuver, grab, and crush orbiting satellites. According to a report by the National Institute for Public Policy, as of 2016 there were 780 satellites in low earth orbit operated by 43 nations. At total of 37 highly elliptical orbit satellites will soon be vulnerable to Chinese or Russian ASATs. "U.S. space systems are among the most fragile and vulnerable assets operated by the U.S. military," the report by former Pentagon missile expert Steve Lambakis states. "This vulnerable communications and data collection, processing, and distribution infrastructure is worth billions of dollars and is vital to nearly every activity of the United States and, increasingly, the armed forces of U.S. allies," he stated. China has deployed two road-mobile ASAT missile systems and is developing two more advanced ground-launched anti-satellite missile systems. "With this range of direct-ascent ASAT capabilities, China may be capable of using hit-to-kill technologies to target and destroy surveillance satellites in low earth orbit, GPS satellites in medium earth orbit, and early warning satellites in geosynchronous orbit," Lambakis said. "Use of a single nuclear warhead in an ASAT role has the potential to decimate low altitude satellites." Beijing also has tested satellites that can maneuver close to satellites in space, a capability that can be used to attack them. Cyber attacks against satellite control stations also are being developed, along with radio-frequency weapons and directed energy beam weapons. Russia's anti-satellite forces have been rapidly built up in recent years, with estimated investments of $5 billion annually, after a lapse in the program after the 1991 collapse of the Soviet Union. Moscow's space weaponry includes development of a new ground-launch ASAT missile called the Nudol that was tested for the third time in December 2016. Other weapons include lasers and jammers that can blind or disrupt satellite electronics. Russia also has cyber weapons capable of disrupting satellite control systems on the ground. Russia's newer surface-to-air missiles, including the S-300, S-400, and S-500 also are capable of hitting targets in low earth orbit, with the S-500 slated for deployment this year. For maneuvering killer satellites, Russia in 2014 launched four satellites, including one that was observed maneuvering. The Pentagon suspects that satellite will be used for anti-satellite warfare. Two other of the remaining satellites were detected maneuvering after months of remaining in stationary orbit. The Russian anti-satellite program also is expected to include an interceptor missile launched from a MiG-31 jet, similar to the now-defunct U.S. ASM-135. Moscow also has developed high-altitude electro-magnetic pulse weapons that could be used disrupt the electronics of all satellites not hardened against EMP attack. The Pentagon's Defense Science Board also warned of the strategic vulnerability of U.S. satellites in a report last March. The board report said military satellite communications used for global operations, in particular, "will be contested by a myriad of effects ranging from reversible to destructive." "The estimated and projected electronic threats against satellite communication (satcom) have rapidly escalated in the last few years and will continue to increase in the foreseeable future," the report, made public in March, said. "Advances and proliferation in advanced electronic warfare (EW), kinetic, space, and cyber capabilities threaten our ability to maintain information superiority," the report said, noting "under severe stress situations, jamming can render all commercial satcom and most defense Satcom inoperable." "This reality should be considered a crisis to be dealt with immediately," the board warned.